In the seven-and-a-half minutes of Sunday’s pimp slot, Shan shot to favouritism for this year’s X Factor. 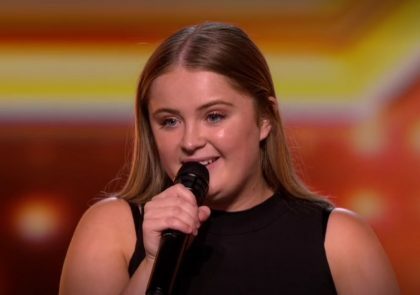 Her audition ticked lots of boxes: an introduction to her supportive family, the childhood footage showing long-held dreams of singing, an emotional number from this year’s favourite ‘The Greatest Showman’ soundtrack, the standing ovation followed by fulsome judges’ praise (Ayda: “You are the strongest competitor we have seen yet”; Simon: “genuinely blown away”), Beyonce’s ‘Halo’ emotionally playing as she greeted family members backstage, while Simon contrived to repeat the word “magic” three times. However, 3/1 seems a short price at this stage for a 25-year-old session singer, currently starring in the touring Whitney Houston tribute show, ‘Queen of the Night’. At that age she’d usually be appearing in the overs, and she’s yet to prove that she’s capable of writing hit songs which seemed a prerequisite last year, though her Instagram handle does claim she’s a “singer-songwriter”. What she does have is a very natural likeability in front of the camera, as evidenced even in little moments such as her jig on receiving four yeses, and giggles when Simon agreed that he too was a “great role model”. My ears pricked at that perfect answer to the question, “what’s the big dream?” A great role model winning is great for a franchise, as Strictly recognised this year by eschewing ‘Love Island’ reality “stars” for a cast notably strong on female role models. Let’s go through the weekend’s other acts in order of introduction. Giovanni Spano fell victim to the time-honoured technique of having a cutaway to an audience member plant a thought that will colour viewers’ reaction: “Ohhhh, I hope he ain’t gonna be cocky”. Then his tagline as he started to perform – “West End Performer” – is itself a well-established epitaph on this show, at least in terms of progress to the later stages. 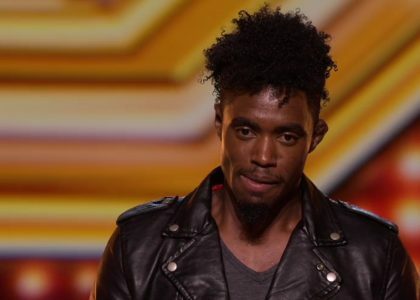 Still, that’s not to say rocker Gio won’t make the lives to add some variety in the overs category: “I think the competition could be interesting with someone like you,” Cowell told him. Armstrong Martins explained how his difficult childhood was turned around by church: “Pastor Tony found the tiniest bit of gold in me”, he explained, a metaphor which might have had more emotional heft had the edit not cheekily illustrated it with a literal-minded close-up of his blingy-looking wristwatch. He won the judges’ praise for being “memorable”, though Louis and Simon pointed out his vocals weren’t perfect. 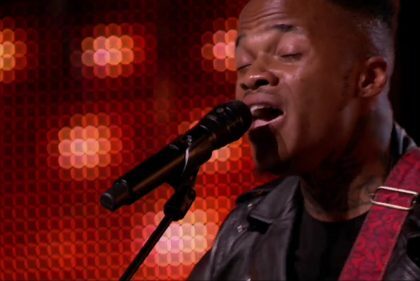 Armstrong is competing in the same category as Ant Russell, who also has his redemption storyline, but with the narrative advantage of mentor Louis playing the role of Pastor Tony. 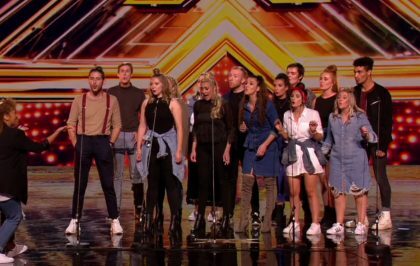 LMA Choir, musical theatre students from Liverpool, are reported to make Robbie’s final six and would be a logistically interesting choice for the live shows – producers would need to build an extension on the X Factor house. If they did make it, they’d face the Stereo Kicks problem of establishing an emotional connection when there are so many of them. Simon’s “I’m not saying the lead vocals were brilliant” didn’t suggest this is a problem producers will apply as much thought to solving as they did with the ill-fated 2014 octet. Georgia Burgess did a decent job with Louisa Johnson’s audition song, ‘Who’s Loving You’. The 20 year old already has management touting her experience supporting “internationally renowned artists such as Ed Sheeran, Little Mix, Olly Murs, Clean Bandit, Dua Lipa, The Vamps, Ella Eyre, Labrinth and Jess Glynne”. You could see The Sun’s report on this as a negative, or just as the show being desperate for column inches. Robbie told her she looked “comfortable in her own skin” while Ayda praised her “identity”, which seemed encouraging, and we were slightly surprised to see such a big differential with Shan in market reaction – Georgia is 16/1. Like Shan, Georgia self-describes as “singer-songwriter” on social media, if that even matters any more. Ricky John appears to be the Ricky Rumour who is rumoured to be golden-buzzered through 6CC in the overs – this looks like him on YouTube, confusingly under yet another name, Rumour Castro. Ricky also had a redemption storyline, in this case his wife playing the Louis Tomlinson role of helping him to turn his life around after eight years without a home. Simon wheeled out the old “this is why we make the show” line, feeling the need to add a “genuinely”. 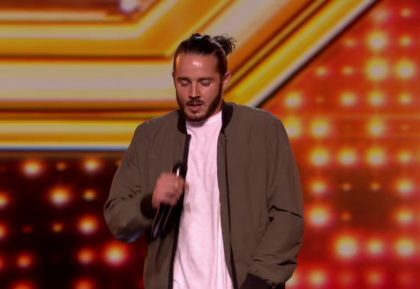 The golden buzzer is new to 6CC this year and you would think, narratively, that it’s going to be used to set up at least one of the recipents for heartbreaking rejection at judges’ houses. 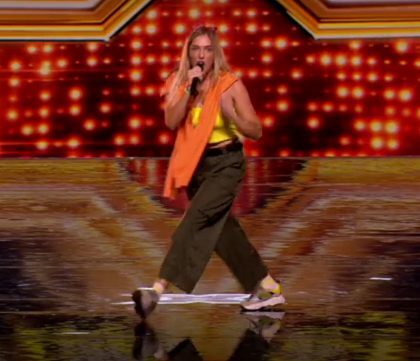 Bella Penfold gets the golden buzzer in the girls. She struck us as an affable Stacey Solomon type, and we had another audience cutaway with, “I like her” just to hammer the point home. Her take on Joss Stone was, as Simon pointed out, “raw” but showed potential. She’s distinctive and another useful string to the bow of a strong-looking girls’ category. Dalton Harris from Jamaica has an obstacle in the more confident and entertaining Olatunji Yearwood from Trinidad and Tobago in the overs category – producers will presumably prefer to cast only one from the region. Dalton’s audition wrung out a few genuinely emotional moments and a decent enough rendition of ‘Sorry Seems To Be The Hardest Word’. Ayda and Louis went up for a deserved hug, but we’ll have to see if that’s considered mileage enough for the backstory. Have you seen the winner yet? As ever, let us know below. 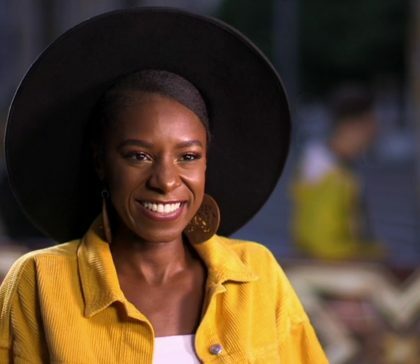 3 comments to X Factor 2018 Auditions Week 3: Is Shan The Plan? Shan has all the hallmarkings of a Plan A. A brilliant singer undoubtedly. This may be far fetched but hear me out…. 1)Robbie referred to her as “gold plated”. It ties in with the new X factor logo that is now gold. 2)Ayda gave her 100%. Shan’s earings if you take a closer look had 100% written on them. Subtle signs of tptb intentions? For me many great singers have gone before on X factor and not won. Others this year have stronger back stories. I have a sneaky feeling that duo put together by Simon could go far. Aailiyaha and Acacia. Irish vote is a big strength so can’t rule out Brendan. An act mentored by Louis or Robbie to win surely. Gio could be the ‘novelty act’ if he gets through to the lives. 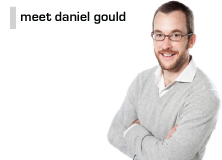 Ticks a few boxes in that way. 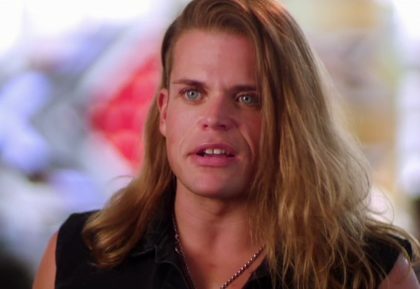 Also, is the sing off back this year? No word on whether they’re sticking with the same format as last year. We know they’ve stuck to 8 audition shows, and the number of total shows is the same as last year. We’re losing 3 bootcamp shows. Could imagine them upping the number of 6CC shows from 3 to 4. Would they be likely to drag out judges houses over 2 weekends for the first time? If not, we’re getting an extra week of live shows. So either 12/13 finalists going over 7 weeks (like in 2015) or 16 finalists over 14 shows?